Double your impact with BiFold Mailers with 2 Peel Cards. This NEW mail format will get you noticed. The longer a consumer holds your mailer, the more interest is created. Drive your marketing to the next level – use Ross4Marketing’s BiFold Mailers with 2 Peel Cards. 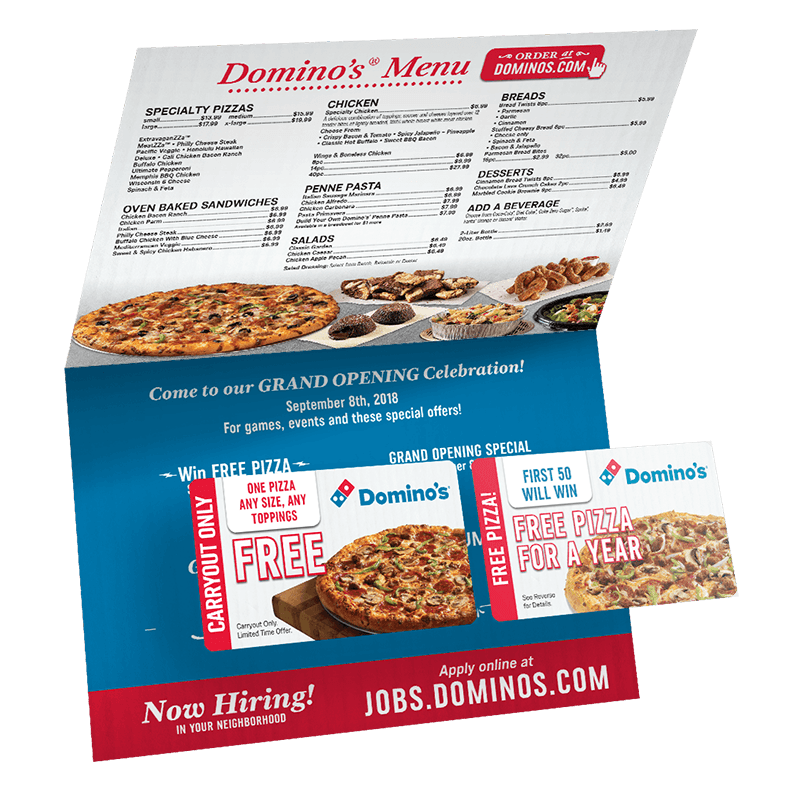 BiFold Mailers with 2 Peel Cards are a fresh, exciting way to engage your customers. Surprise and delight your customers with detachable coupons, magnets and gift cards. Your offers are attached with a tip-on glue process that leaves no sticky residue when removed. This maintains the unique value of both the discount card and the mailer.